Blowout Sale! 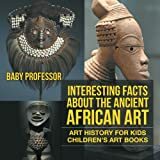 Up to 59% off on Africa at Cmc Schools. Top brands include Dial, Laurence King Publishing, Brand: Twenty-First Century, Brand: Cavendish Square Publishing, Farrar, Straus and Giroux (BYR), DK Publishing, Henry Holt and Co, Baby Professor, Brand: Raintree, imusti, Oxford University Press, Clarion Books, Books of Africa Ltd, Dorling Kindersley Publishers Ltd, ABRAMS BYR, Veritas Press, Collins, Heinemann/Raintree, Unknown, & Brand: Scholastic Press. Hurry! Limited time offers. Offers valid only while supplies last.